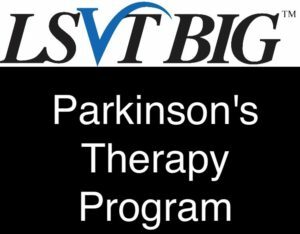 Fremont Therapy & Wellness strongly believes in helping Parkinsons patients in improving their lives and helping them delay the disease and offers LSVT Big program. Fremont Therapy & Wellness's full therapy staff is trained in LSVT Big - Both Physical Therapy and Occupational Therapy to best benefit our patients. The LSVT protocol consists of 16 therapy visits 4 per week over a 4 week period with movement patterns and additional functional tasks integrated as each patient needs. Research on improvements are based on this protocol and intensity. The protocol is both intensive and complex, with many repetitions of core movements that are used in daily living. This type of practice is necessary to optimize learning and carryover of your better movement into everyday life. In addition, physical therapy and occupational therapy is also focused on educating patients and caregivers about Parksinson's disease, ways to help manage the disease, connect them with support and external resouces and help get them back to exercising. Due to the proven benefits physical therapy has on helping decrease decline, improve balance, and improve function it is a diagnosis that is covered by Medicare services. Some patients cannot handle the demands of 4x week treatment and a plan can be modified for your needs, but may not have the same results as the full program. If you are newly diagnosed or in early stages of Parkinson's it's vital to learn how your can help yourself and your caregiver manage this disease. Call Fremont Therapy & Wellness today at 402-512-3893. In addition, strong research suggests the benefits of cycling in Parkinson's symptoms and Fremont Therapy & Wellness integrates cycling into therapy programs as patients are able.